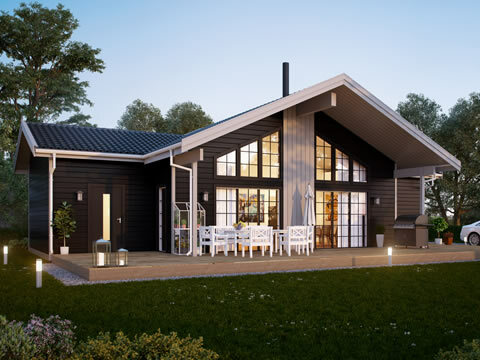 Although choosing the style of the roof for your log home may not be the first thing on your mind. Here at Bespoke Timber Houses, we like to give our customers a range of choices to really give your cabin a personal touch. Some styles are more modern whilst other have more ecological and natural benefits. 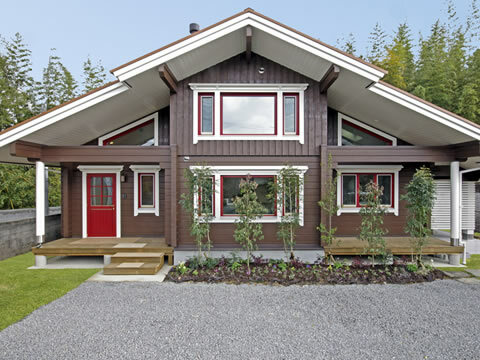 All our cabins and houses are supplied with a weatherproof mineral felt roofing material. While this is all you need to keep the weather out you may prefer to improve the look of your cabin or house with roof tiles. 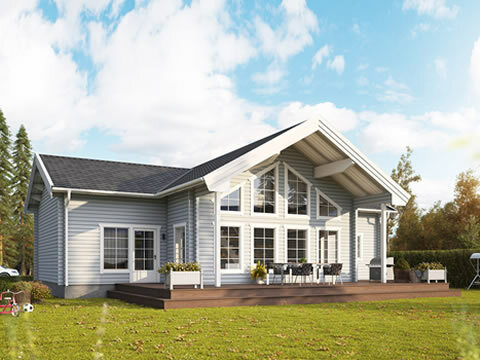 The roof of our cabins and houses is capable of supporting a load of 300kg per square metre, and so can be fitted with your own choice of tiles. We are now able to offer a maintenance free and attractive alternative to tiles. 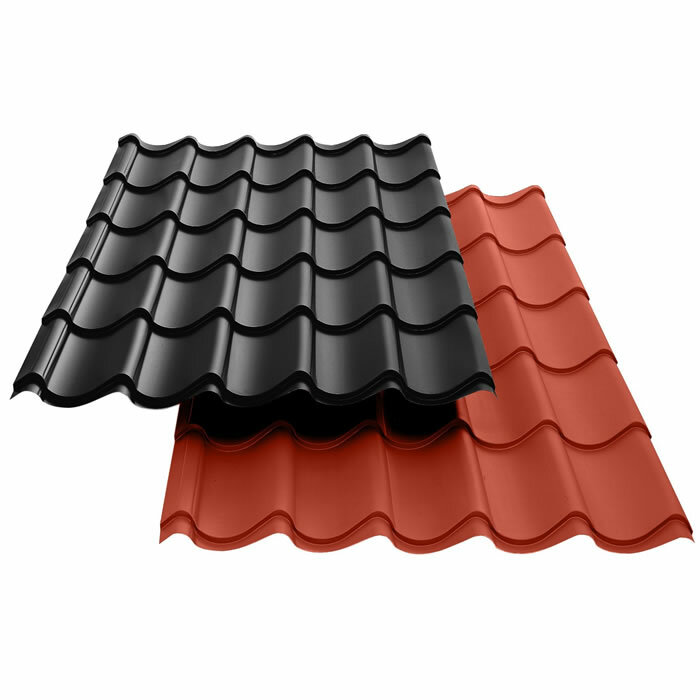 Plannja roofing is made from thin sheet steel coated in plastic and profiled to resemble conventional tiles. 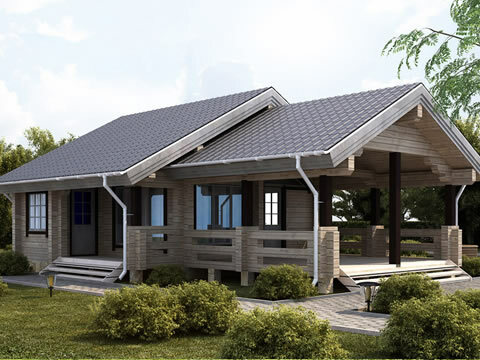 Plannja roofing is widely used on the continent, where its long life and ease of installation makes it very popular. 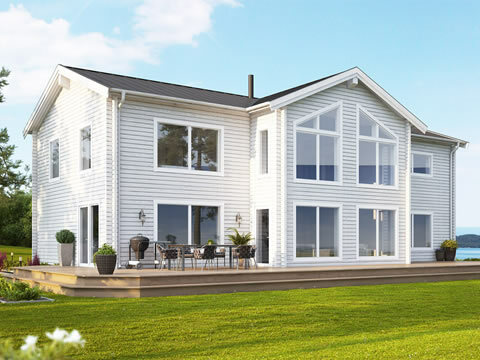 Made in Sweden and guaranteed to last 25 years, Plannja uses well-known cladding techniques from the commercial building sector. 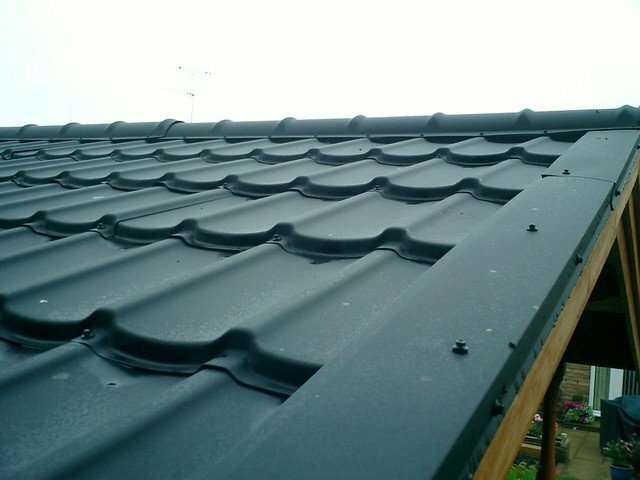 Fixed directly to the roof battens (supplied with each house) the sheeting is pre-cut to length and easily fastened down, overlapping the next sheet until a watertight finish is quickly achieved. 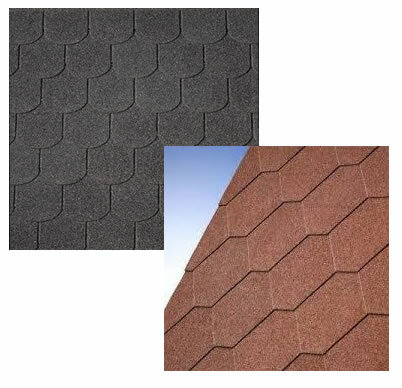 Supplied complete in kits with all necessary ridges, gulleys, trims and fixings, this product makes roofing easy. Available in black, moss green, dark brown, dark red, brown-red, red, and brick-red(terra cotta). 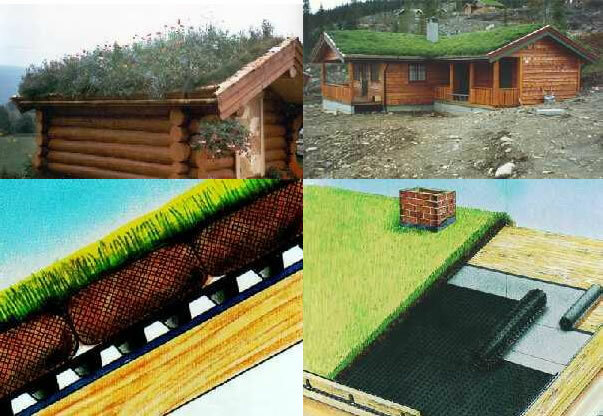 Turf roofs have been used in Scandinavia since the Vikings. 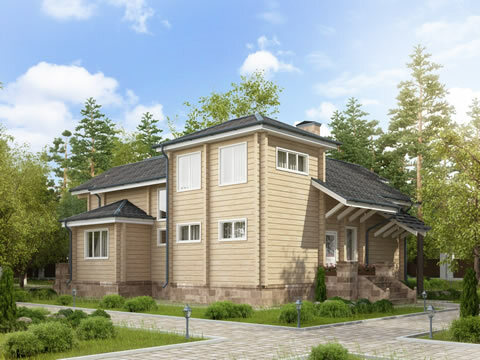 They offer very good thermal insulation, they are easy to maintain, and they are strikingly beautiful. 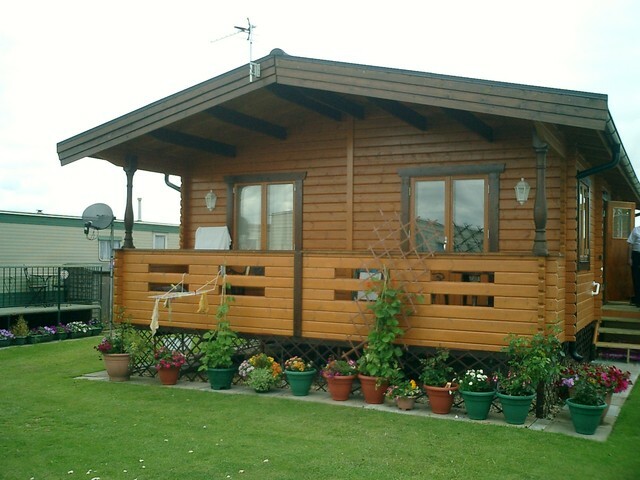 All our cabins can support turf roofs up to 130 kg/m2 without additional reinforcement. They don't even have to be grassed - these wild flowers make a refreshing change for example. Constructing a turf roof is not just a matter of ordering some turf from your local garden centre. It is essential to waterproof the roof to prevent ingress of damp and to encourage water retention around the roots so the turf does not die in the summer months. A waterproof membrane prevents water penetrating the cabin, while a platon mat allows water to circulate underneath the turfs. The turfs are in netting sacks to prevent erosion by rain. Turfs are laid on a special platon mat on top of the original roofing felt. Turfs are unloaded and stacked on the roof as required. Turfs are supplied in netting bags impregnated with seeds ready to be laid on the roof. Starting at the lowest part of the roof the turfs are carefully stacked to meet those on the ridge.